The American Library Association, the Oregon Association of School Libraries, as well as most other state library and school library associations, recommend that all libraries develop and maintain written policies to serve as guidelines for those responsible for the collection, and to inform the community of the policies and practices of the library. This Policy identifies and describes the process by which the librarian and staff of the International School Library Media Center (TIS LMC) make decisions about selecting books and other materials for its collections, as well as defining practices for weeding, access to materials, challenges to materials and acceptance of donations. The purpose and mission of The International School serves as the foundation for these policies. In addition, the guiding principles set out by the American Library Association, the American Association of School Librarians, and the Oregon Association of School Libraries were also consulted. 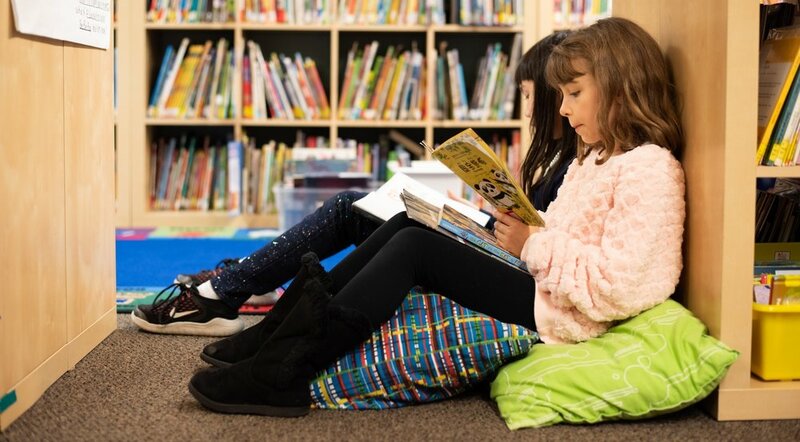 The mission of TIS LMC is to promote literacy in more than one language, to foster a love of reading and literature, and to ensure that students and staff are effective users of ideas, information and technology. Support and enrich the language immersion mission of the school. Support and enrich the general and International Baccalaureate Primary Years Programme curriculum through library classes and collaboration with classroom teachers. Encourage inquiry-based learning and critical thinking. Extend students’ knowledge and understanding of the world around them. Foster a love of reading and literature. Materials that support and enrich the curriculum, reflecting a variety of interests, abilities, learning needs, learning styles and maturity levels of the student population in a multilingual environment. Materials for teachers and students which encourage growth in knowledge, and that will benefit the development of literary, cultural and aesthetic appreciation. Materials that represent different and varied ideas, religious beliefs, and social, political, historical, or world groups and their cultural contributions. Materials in a variety of formats to support student learning needs in a language immersion environment. The Librarian will consult professionally recognized reviewing periodicals, standard catalogs, and other selection tools to guide in materials selection. Requests for the purchase of materials from staff and students will be honored when appropriate and within TIS LMC budget. Special consideration will be given to multicultural literature. B. Selection is an ongoing process which will include the removal of materials no longer appropriate and the replacement of lost, worn, outdated and damaged materials still of educational value. See Section V.
C. Gift materials shall be judged by the criteria outlined above and shall be accepted or rejected by those criteria. See Section VI. TIS LMC adheres to the tenets of the Library Bill of Rights and does not restrict access to its collection by age or grade. It does, however, strive to provide age-appropriate materials and to place materials within the appropriate collection (Picture Books, General Fiction and Nonfiction, Professional Resources, etc.) and to recommend suitable materials to individual students. Parents are the ultimate authority on what is or is not appropriate for their child and are encouraged to communicate directly with their child about any limitations they wish to place on his/her reading, and to ask the librarian for recommended alternatives to materials they consider unsuitable for their child. TIS LMC welcomes gifts and donations. Donations of library-quality, valuable or rare materials will be acknowledged with a book plate. Any TIS student, teacher or other school community member may challenge the appropriateness of a particular library item. It will be the policy of TIS LMC to object to censorship and to defend the rights of the school’s students to intellectual freedom and the right to read. When TIS LMC receives a question about a particular item, the Librarian will attempt to resolve the issue through informal discussions of the issues and by explaining the school’s collection development policies. The Librarian may or may not decide to remove the item at their discretion based on the merits of the complaint. In the event a resolution is not reached in Step 1, the complainant may file a formal challenge by completing a Reconsideration of Materials Form available from the Librarian. Upon receiving such a form, the Librarian will inform the Head of School, who will assign a review committee to examine the material in question. The review committee will include, but is not limited to: the Librarian, one Library Committee representative, the Head of School, the Principal, one PTO representative and two teachers who have a vital interest in and/or expertise regarding the language or subject of the item. The committee will meet to discuss the challenge in a timely manner and to prepare a recommendation on the resolution of the matter. The challenged material will be removed from the library until the matter has been resolved. The Head of School will inform the complainant in writing of the decision made by the review committee. The recommendation will be implemented by the library.